After the success of Alfred Brendel's last lecture in 2015, Midsummer Music's Honorary President returns to deliver a lecture on the challenges of interpreting Mozart. He poses the questions: How was the composer perceived by his contemporaries? How literally does one need to take his notation? How do his few works in minor keys compare to the many in major, and his concertos to his sonatas? A special opportunity for all music lovers and devotees of the piano to hear Alfred Brendel's reflections from his many decades of experience playing Mozart. Alfred Brendel studied piano and composition in Zagreb and Graz, completing his piano studies with Edwin Fischer, Paul Baumgartner and Eduard Steuermann. For 60 years he has enjoyed a distinguished international career concentrating on the works of central European composers from Bach to Schoenberg as well as featuring many works by Liszt. He was the first pianist to record Beethoven’s complete piano works, and was highly influential in getting Schubert’s Piano Sonatas and the Schoenberg Piano Concerto recognised as integral parts of the piano repertoire. He has performed regularly at the world’s musical centres and festivals, and with the leading orchestras and conductors, and his extensive discography has contributed to making him one of the most respected artists of our time. His final concert appearance was with the Vienna Philharmonic on December 18, 2008. It was released on CD, together with his last solo recital, by Decca. Alfred Brendel has given lectures, poetry readings and masterclasses at the Festivals of Salzburg and Verbier, the Vienna Musikverein and Konzerthaus, the Wigmore Hall in London, and music universities and concert halls throughout Europe. His North American activities included the Juilliard School, New York University, Berkeley, CAL Performances, McGill in Montreal Harvard, Princeton and Yale. He has taught at the Cité de la Musique in Paris, and as guest professor in Cambridge. He has published two books of essays, Musical Thoughts and Afterthoughts and Music Sounded Out the latter of which was awarded the 1990 Royal Philharmonic Society Music Award for writing. A volume of collected essays, Alfred Brendel on Music, came out in January 2001 to mark his 70th birthday. He has received honorary degrees from many universities including Oxford, Cambridge, Yale and McGill, and was awarded an honorary KBE in 1989. Since her breakthrough in 1984 winning the Eurovision Young Musician of the Year, Isabelle van Keulen can now look back on many years of musical diversity. Her versatility lies in the fact that she not only plays the violin, but as well viola with the same energy, performing chamber music in any thinkable combination and directing chamber orchestra performances. Whether in the over 20 year intense collaboration with the Dutch pianist Ronald Brautigam, concerts with mezzo Christianne Stotijn, performing/directing the Norwegian Chamber Orchestra, combining violin and viola in one appearance, founding a chamber music festival – from 1997 until 2006 Isabelle van Keulen was Artistic Director of the Delft Chamber Music Festival – giving masterclasses or being a soloist with orchestras such as the Royal Concertgebouw Orchestra, Berlin Philharmonic or NHK Tokyo. Above all, being faithful to the music is her highest priority. Since autumn 2012 she is professor for violin, viola and chamber music at the Luzern University of Arts. Winning five prizes at the 2006 ARD International Music Competition in Munich kickstarted the Armenian pianist Marianna Shirinyans international career as soloist and chamber musician and it has developed impressively steadily since. She has won the reputation of being one of this generation's leading pianists through solo appearances with such leading orchestras as the Danish National Symphony Orchestra, Oslo, Helsinki and Copenhagen Philharmonic Orchestras, Tapiola Sinfonietta, Göteborg and Norrköping Symphony Orchestras in Sweden as well as Odense, Århus and South Jutland Symphony Orchestras in Denmark. 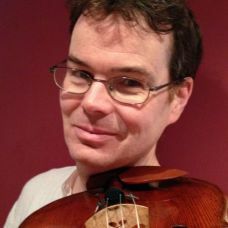 Scott Dickinson is principal viola with the BBC Scottish Symphony Orchestra and former violist of the Leopold String Trio, with whom he appeared worldwide. He plays regularly with the Nash Ensemble and as principal viola of the Philharmonia Orchestra. He has appeared with Yuri Bashmet, Karen Cargill , Ivry Gitlis, Steven Isserlis, with the Brodsky, Chilingirian, Elias, Navarra and Royal Quartets, the Gould Piano and London Bridge Trios, Hebrides and Red Note Ensembles and plays flute, viola and harp trios with his wife, flautist Susan Frank, and harpist Lucy Wakeford. He has also played as guest principal viola with numerous other ensembles including the Chamber Orchestra of Europe, Australian, Mahler and Scottish Chamber, Swedish Radio and London Symphony Orchestras, and has performed with the World Orchestra for Peace. Scott was born in Glasgow and studied in Manchester, London and Salzburg, where he won the 1996 Mozarteum concerto competition. He joined the BBCSSO in 2002 and has frequently performed as soloist with them, including "Jubilus" by Jonathan Harvey on CD ( which was shortlisted for a Gramophone Award ) and playing Mozart's Sinfonia Concertante in Donald Runnicles' 60th birthday concerts. He has held teaching positions at the RNCM and, currently, at the Royal Conservatoire of Scotland. Richard Hosford has a busy career both as a soloist and as chamber musician. He was for several years Principal Clarinet with the London Philharmonic before taking up the post of Principal Clarinet with the BBC Symphony Orchestra in 1994. Richard Hosford is a committed chamber musician and has recorded all the major repertoire for wind ensemble with the Wind Soloists of the Chamber Orchestra of Europe and has toured with them throughout the world. He has recorded with the chamber ensemble, Domus, and the Florestan Piano Trio. In 1998 he became a member of the Nash Ensemble with whom he tours and broadcasts regularly. In recent years his recordings of the Copland Concerto, the Brahms Trio (with the Florestans) and the Brahms Quintet (with the Nash) have all been chosen as “First choice” by BBC Radio 3 ‘Record Review'. Richard teaches at the Royal College of Music. Born in Slovenia in 1990, Nika studied at the Ballet and Music School in Maribor, the University of Music and Performing Arts in Graz, and the Royal Academy of Music where she is completing her studies with Lillian Watson and Jonathan Papp on the Opera Course. She was selected by Young Classical Artists Trust (YCAT) in 2016. This summer Nika joined Salzburg Festival’s Young Singers Project, taking part in a new production of The Fairy Queen and in masterclasses with Thomas Hampson and Ann Murray. Over the last year she has performed in a production of Handel’s Messiah with Opera National de Bordeaux and sung the roles of Susanna (Marriage of FIgaro) and Fortuna and Pallade (L'incoronazione di Poppea) with RAO. During the 2016/17 season Nika takes the roles Norina (Don Pasquale) with Slovene National Theatre and Eurydice (Offenbach’s Orfeo and Eurydice) with RAO. She gives recitals at the Oxford Lieder Festival and at Wigmore Hall. Previous concert appearances include the Klavier Festival Ruhr with Graham Johnson, Kioi Hall (Tokyo) and the Festival Maribor with Richard Tognetti. Midsummer Music reserves the right to change artists and/or programmes if required.